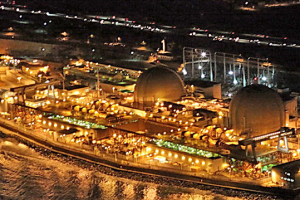 August 7, 2015 (San Diego) – Southern California Edison could face up to $34 million in sanctions for violating a ban on backdoor communications with state regulators over the San Onofre closure. Those are the findings of California Public Utilities Commission administrative law judge Melanie Darling, the San Diego Union-Tribune reports. Darling will determine on August 20th whether or nor to hold Edison in contempt. Her ruling faults Edison executives Ronald Litzinger and Stephen Pickett for omitting facts from prior testimony about secret meetings with former CPUC chair Michael Peevey, including meetings at a posh hotel lin Poland.